There has been an explosion of interest in entrepreneurs in the popular media, as well as in business, policy, and education. But what do entrepreneurs do? What is entrepreneurship and why is it important? What is distinctive about entrepreneurs? And where do they come from? 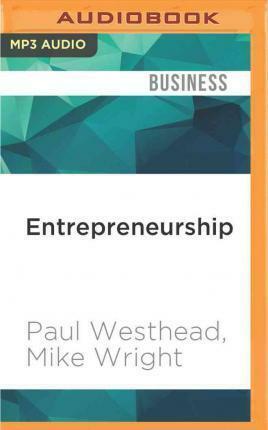 In this Very Short Introduction, Paul Westhead and Mike Wright weave a pathway through the debates about entrepreneurship, providing a guide to the entrepreneurial process. They look at how the actions of entrepreneurs are shaped by the external environment and availability of resources, consider the types of organizations in which entrepreneurs can be found, and look at the diversity in their backgrounds, experience, and how they think and learn. Lastly, they consider the impact that entrepreneurs have on modern market economies and look at the future of entrepreneurship in our increasingly globalized world. About the series: The Very Short Introductions series from Oxford University Press contains hundreds of titles in almost every subject area. Our expert authors combine facts, analysis, perspective, new ideas, and enthusiasm to make interesting and challenging topics highly readable.